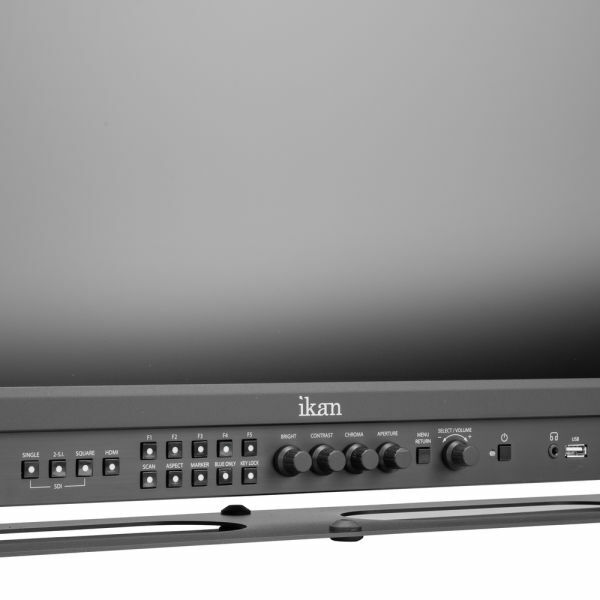 Ikan and Postium team up to bring the most feature-rich line of 4K production monitors. The OBM series offers full 4K support up to 4096x2160 at 60p signals and features 12G-SDI single link and HDMI 2.0 inputs. In addition to multiple input support, the OBM series boasts color accuracy and panel uniformity that are essential for color critical applications. The monitors support side-by-side color space and gamma comparison as well as full 3D-LUT support. 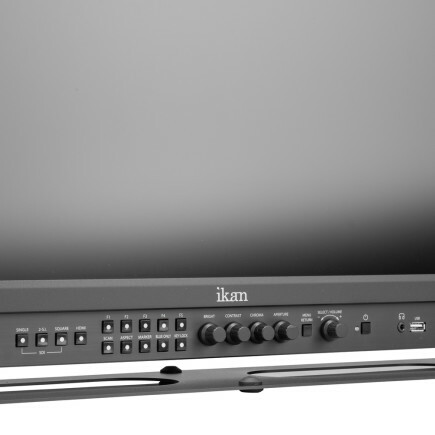 With the OBM series of monitors, Ikan and Postium have prioritized quality and compatibility to offer the most complete and versatile 4K monitors. 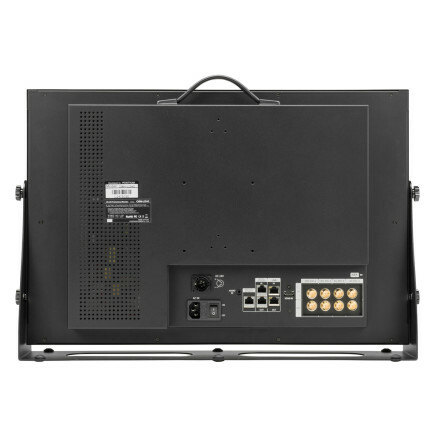 The OBM Series of monitors supports all the multiple 4K inputs such as HDMI 2.0, 12G-SDI, Dual 3G-SDI as well as support for 4K Quad Link 2 Sample Interleave and 4K Quad Link Square Division Signals. 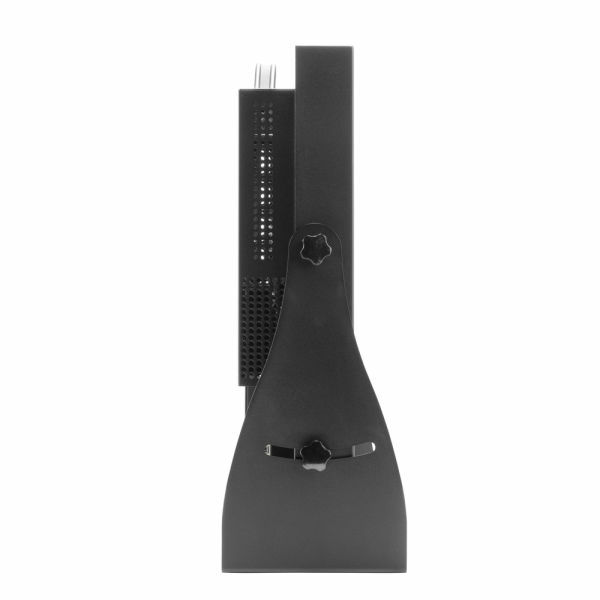 In addition, the monitors also include the SFP interface which allows the use of the SFP modules that fit any possible broadcast applications. The OBM Series of monitors can support up to 3840x2160 and 4096x2160 60p. The OBM monitors feature real-time high resolution Waveform and Vector Scopes. Waveform Wide mode is supported and both the waveform and the vector scope can be displayed simultaneously. 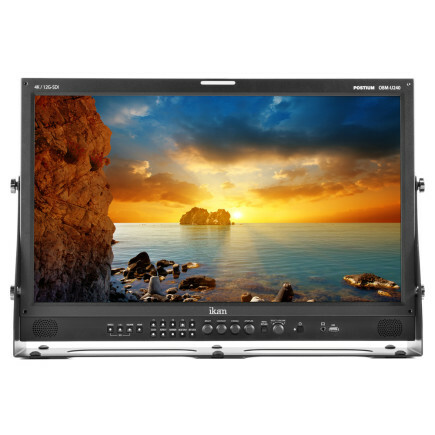 The OBM-U240 supports the ability to display High Dynamic Range footage. This feature allows the monitor to display more details in both the highlights and the shadows resulting in a more natural and realistic image. The monitor supports PQ EOTF (SMTP 2084) and Hybrid Log Gamma OETF mode. The OBM-U240 is able to display both HDR and SDR side by side while also being able to scrub the image left to right to show more or less of the HDR or SDR portion of the screen. The OBM series of monitors features support for wide color gamuts. Different color spaces can be selected such as DCI-P3, ITU-R BT.2020, ITU-R BT.709, SMPTE-C, EBU, and the display’s native color space. 3D-LUT support is also available, giving you the ability to load your own custom 3D-LUTs or choose from the built-in camera LOG LUTs. The OBM monitors have a unique feature that allows you to view two different color spaces or gammas side by side. The viewable areas can then be adjusted by wiping left or right. The monitors also are equipped with features that help you get the right shot every time. For example, the Focus Assist highlights the edges of what is in focus in red. You also have the ability to adjust the sensitivity and color of the outline and whether you want the image in monochrome or color. The Zebra function is also available where it will let you know what parts of the video are overexposed by overlaying a zebra pattern over them. The gamma value can be adjusted from 1.0 to 3.0 so you are able to monitor the dark areas and the light areas of the image. Any footage captured in either light or dark environments can be monitored and analyzed. Shipping Dimensions: 28 x 21 x 9 in.